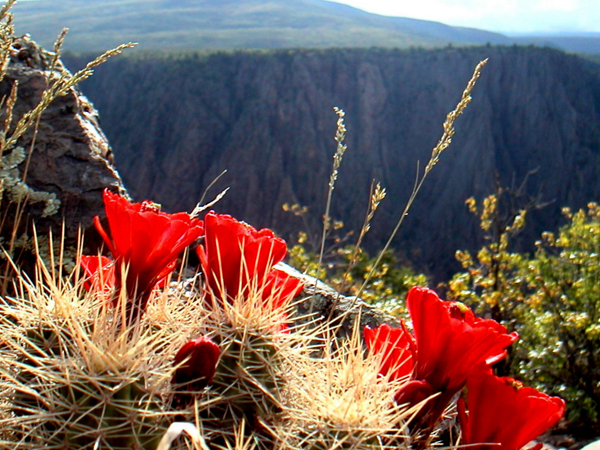 Gorgeous claret cup blooms against the black canyon. We enjoyed our stop here on the way home from Utah. We met a fun Australian and enjoyed swapping stories – it is he that told us where to find this bloom and we set off just before sunset to find. This entry was posted in Cactus, Colorado, Hiking, National Parks. Bookmark the permalink.